Apparently, this unusual color gives them an advantage when trying to catch fish. 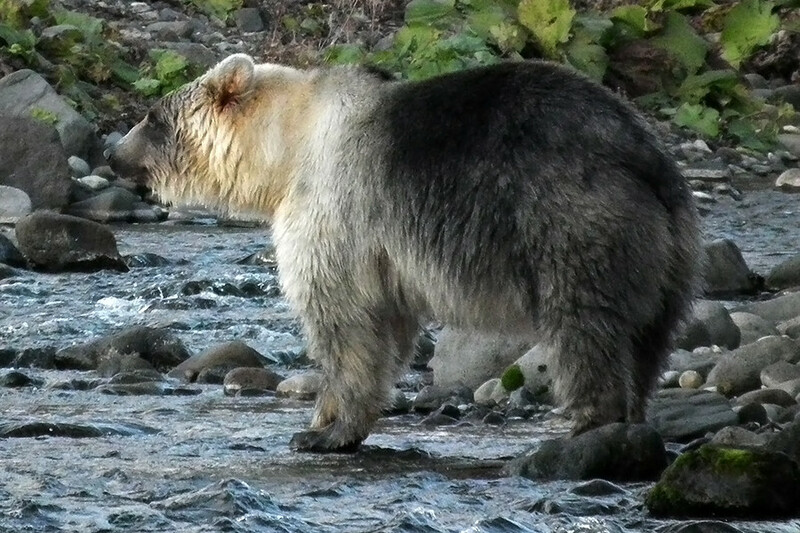 Silver-tinted brown bears have been spotted for several years on the islands of Kunashir and Iturup in Russia’s Kuril chain in the north Pacific. Currently, their numbers are unclear and there is no consensus as to why they’re different from other brown bears. According to Evgeny Kozlovsky, deputy director for research at the Kuril Natural Reserve, there are only a few bears on the island of Kunashir with a certain silver shade to their fur. 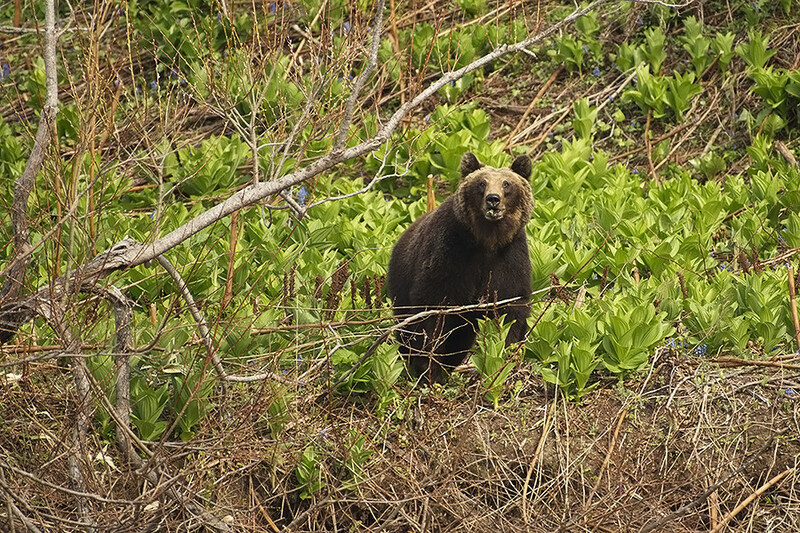 They account for about 10 percent of all brown bears living on the island. Such coloring can vary; for some on the head only, while for others the entire body. Russian scientists are joined in their research by colleagues from the U.S. and Japan. 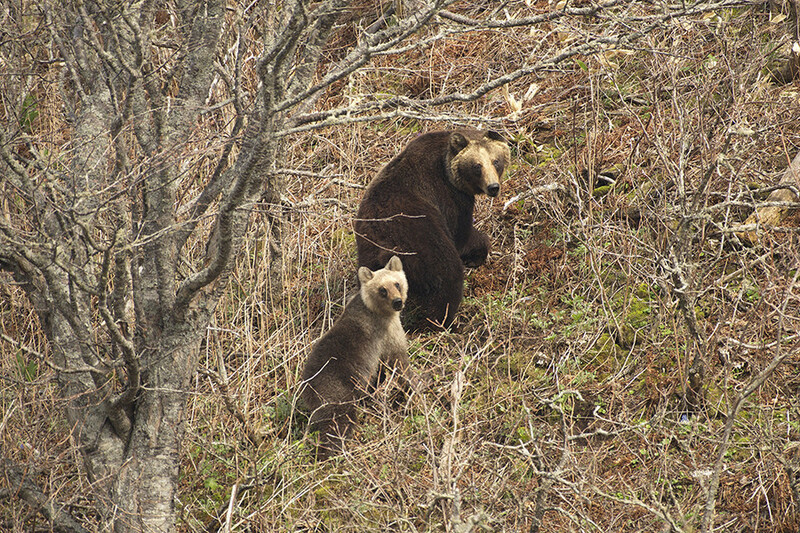 In 2013, a delegation of Japanese scientists came to the Kuril Natural Reserve to study the bears. While similar white bears can be found on Japan’s Hokkaido Island, their white color is less vivid and more heterogeneous. How did such coloring originate? Dr. Yoshikazu Sato, professor at the College of Agriculture, Food and Environment Sciences of Rakuno Gakuen University in Japan, thinks it owes to a mutation that later became prevalent in the local population, favoring their ability to hunt. 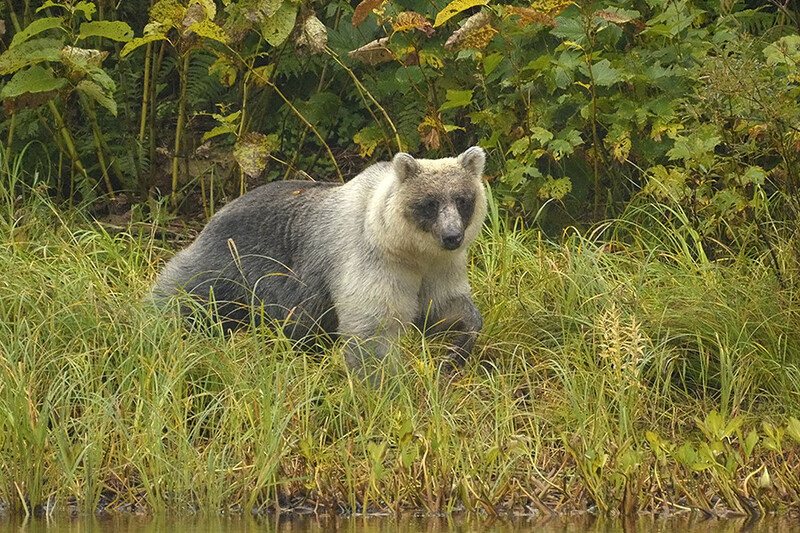 Based on the findings of Canadian scientists, silver-colored bears living along the Western coast of Canada showed more success in fish hunting because the fish were unable to see the bears on the background of the light blue sky. This was in contrast to dark-colored bears which can be seen more easily. Such an explanation works for Kuril bears as well. “Despite the fact that light (gold or silver) coloring can be seen in different populations of brown bears, and even in different types of bears, such a color results from a mutation in different loci of chromosomes, so the inheritance of such color occurs differently everywhere,” Kozlovsky said. He added that while the behavior of such odd-looking bears is no different than that of usual bears, some state inspectors at the reserve believe they’re less aggressive. Indeed, bears look very cute, but vigilance is crucial when you’re having a walk in the wild. 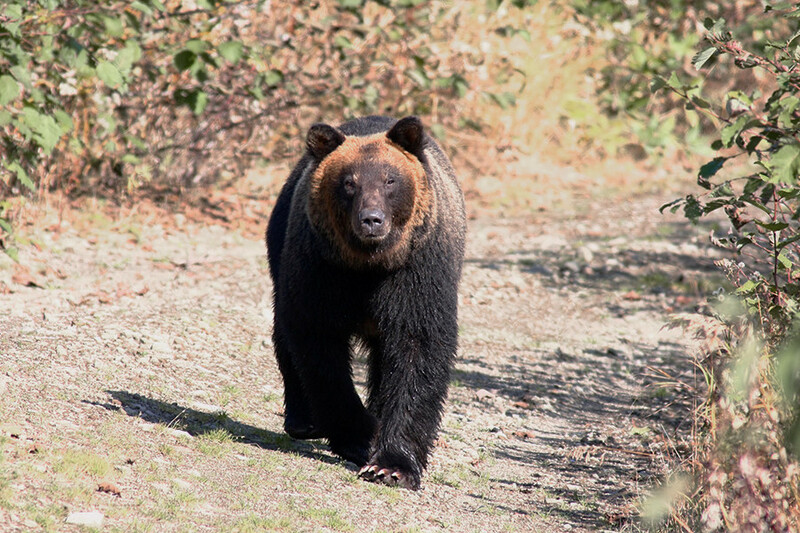 Here are a few security tips to ensure your bear encounter doesn’t turn into a nightmare.